If you can easily remember a violent crime, you’ll guess that the crime rate is high. If you can’t easily remember such a crime, you’ll guess a much lower rate. Our estimates, then, are not based on reality but on memory, which of course is often faulty. This is the availability bias. Our probability estimates are biased toward what is readily available to memory. The broader concept is processing fluency– the ease with which information is processed. In general, people are more likely to judge a statement to be true if it’s easy to process. This is the illusory truth effect– we judge truth based on ease-of-processing rather than objective reality. It follows that we can manipulate judgment by manipulating processing fluency. Highly fluent information (low cognitive cost) is more likely to be judged true. We can manipulate processing fluency simply by changing fonts. Information presented in easy-to-read fonts is more likely to be judged true than is information presented in more challenging fonts. (We might surmise that the new Sans Forgetica font has an important effect on processing fluency). We can also manipulate processing fluency by repeating information. If we’ve seen or heard the information before, it’s easier to process and more likely to be judged true. This is especially the case when we have no prior knowledge about the information. But what if we do have prior knowledge? Will we search our memory banks to find it? Or will we evaluate truthfulness based on processing fluency? Does knowledge trump fluency or does fluency trump knowledge? Knowledge-trumps-fluency is known as the Knowledge-Conditional Model. The opposite is the Fluency-Conditional Model. Until recently, many researchers assumed that people would default to the Knowledge-Conditional Model. If we knew something about the information presented, we would retrieve that knowledge and use it to judge the information’s truthfulness. We wouldn’t judge truthfulness based on fluency unless we had no prior knowledge about the information. 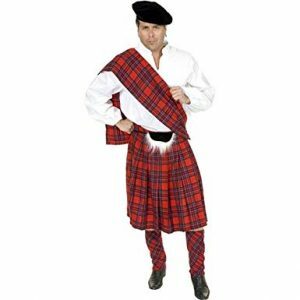 “Reading a statement like ‘A sari is the name of the short pleated skirt worn by Scots’ increased participants later belief that it was true, even if they could correctly answer the question, ‘What is the name of the short pleated skirt worn by Scots?’” (Emphasis added). The researchers found similar examples of knowledge neglect– “the failure to appropriately apply stored knowledge” — throughout the study. In other words, just because we know something doesn’t mean that we use our knowledge effectively. Note that knowledge neglect is similar to the many other cognitive biases that influence our judgment. It’s easy (“cognitively inexpensive”) and often leads us to the correct answer. Just like other biases, however, it can also lead us astray. When it does, we are predictably irrational.